SP's Naval Forces (SP’s): Rolls-Royce is one of the world's leading companies which provide aero-engines, marine engines and marine products to many countries. What are the various products and systems that you offer to the Indian Navy, either directly or through the Indian Shipyards? 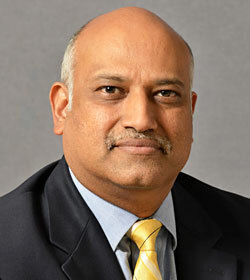 Kishore Jayaraman (Jayaraman): Rolls-Royce offers an extensive product base and proven experience in both ship design and system integration which enables us to bring the right products together when developing power, propulsion and motion control solutions that are fully matched to a vessel's operating profile. Our approach enables us to deliver a complete service, from initial concept studies, through equipment selection, systems integration and through life support. 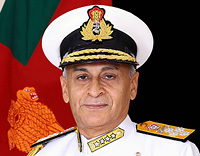 The products being offered to Indian Navy include Engines, Ship Design, Gas Turbines, Propulsors, Electrical power systems, underway replenishment, propellers and water jets, cranes and handling systems, etc. SP’s: What are the significant features of your marine engines (both gas turbines and diesel engines) and which are the various naval platforms they are used for? What are the various types of combat ships propellers and propulsion technologies successfully developed by Rolls-Royce? Jayaraman: The Bergen medium speed engine family provides power from 1.9 to 8MW. They are suitable for mechanical drive or supplied as packaged generator. Now a part of the Rolls-Royce marine equipment portfolio, MTU is a world-leading provider of high and medium speed diesel engines. Within the shipping sector the company has established a long and successful partnership with some tens of thousands of engines in operation around the globe and on all seas. Rolls-Royce supplies marine gas turbines from 3 to 40MW range. Rolls-Royce has a long hiStory providing gas turbine gensets for every US Navy combatant over the past 40 years. WR-21 powers the Royal Navy's Type 45 destroyer flotilla. 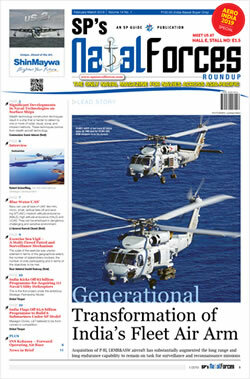 The MT30 powers the Littoral Combat Ships and will power US Navy's DDG-1000 multimission destroyer, Korea's FFX batch II frigate and the Royal Navy's Queen Elizabeth class carriers. The Royal Navy’s innovative Type 26 frigates propulsion system will be designed around the MT30.e. MT7s will power the US Navy's ship-to shore connector. SP’s: Which are the Indian warships where Rolls-Royce gas turbines and diesel engines have been successfully inducted and exploited to its designed capabilities? Jayaraman: MTU engines form the backbone of Indian Coast Guard and Indian Navy Fleet being fitted on board the OPVs, IPVs, IBs, etc. Bergen engines are fitted on the Pollution Control Vessels. SP’s: Rolls-Royce Adour aero—engines are used in India’s Advance Jet Trainer. Is the same engine going to be used for the Indian Navy’s trainer? Can you also give us some details of this engine? Jayaraman: The Hawk Advanced Jet Trainer is in service with the Indian Air Force and Indian Navy. It is powered by the Adour 871 which has over 1.5million hours of service with operators around the world. The Hawk-Adour combination is the global leader in advanced jet training for air forces globally, including: the United States Navy, Royal Air Force, Royal Australian Air Force and Royal Malaysian Air Force. SP’s: What was Rolls-Royce’s role in the life upgrade/ modernization of Indian Navy's Sea Harriers, Jaguars and Sea King helicopters? Can you elaborate on as to how Rolls-Royce has supported these fleets in their operational role? Jayaraman: Rolls-Royce is proud to support the Indian Navy’s fleets of Sea Harriers and Sea Kings. We have worked side by side with 300 INAS (the Sea Harrier front-line squadron) for 54 years and continue to do so today. Rolls-Royce personnel are stationed alongside the IN at INS HANSA in Goa providing on-site support. Rolls-Royce, HAL and the Indian Navy routinely meet to discuss and resolve technical questions and to ensure that these fleets are fully supported and are able to meet India’s defence needs. SP’s: Roll-Royce’s MT30 Marine Gas Turbine is considered to be a 21st century product which is used for powering the US Navy’s mono-hull Littoral Combat Ship USS Freedom and other ships of this class. Has it been offered to India? What about offering nuclear propulsion for Indian Submarines? 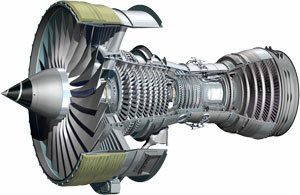 Jayaraman: The MT30 is a member of the Rolls-Royce Trent aero engine family that has accumulated over 30 million operating hours since entry into service in 1996. The MT30 brings today’s aero gas turbine technology to the marine market and gives operators of gas turbine-powered vessels efficiency and reliability improvements, with a highly competitive power-to-weight ratio and reduced operating and through-life costs. We are planning to offer MT30s for the future programmes of the Indian Navy. SP’s: India is still lagging behind in the development of aero and marine engines. Do you have any plans to assist India in this field by the transfer of technology? Jayaraman: India requires advanced technology and manufacturing capabilities to bridge the existing defense capability gap, there is a need to look at joint production, joint R&D and most-importantly the need to move beyond a buyer-seller relationship. Both India and the UK go back a long way in defense collaboration. Both the countries have signed several agreements such as -in the area of encouraging defense industrial partnerships, setting up of Defense Science and Technology Laboratory et al. Now with the new government initiating forward-looking policy measures, there will be much more scope for greater collaboration and participation between the two countries. SP’s: Can you indicate your present and future plans for India? Jayaraman: India is one of the most important strategic markets for Rolls-Royce and we continue to build on our distinguished legacy and long-standing partnership. With 500 direct and indirect employees across our business sectors, Rolls-Royce in India has gradually moved beyond sales and licensed production to engineering services and component manufacturing and plays a strategically important role in the Group’s global operations. Throughout its 80 year journey, Rolls-Royce has invested time and resources to increase the capability of Indian industry. Rolls-Royce is working towards the indigenisation of the Indian defence industry by exploring strong partnerships with companies who share our goals. We are already working with many partners in India which we are proud of — TCS, Quest and HAL. Today, we are well positioned to cater to the future growth opportunities available in the India and South Asia region. We also believe that this region can play a greater role in our strategy for profitable growth. The marine sector has been designated a strategic industry, though also facing immediate challenges. India also offers the Group very significant supply side advantages due to cost-competitive, world class IT and BPO industries and growing engineering and manufacturing capabilities. Furthermore, in contrast to other large emerging markets, India is predicted to remain a relatively low-cost, competitive source of labour for the foreseeable future, due to favourable demographics. With over 1000 engineers, our engineering activities in India have reached a significant scale, amounting to substantial savings for the Group. Although we have made a start, there a more opportunities to expand our level of supply chain sourcing from India. Recently, we have begun to manufacture components here. We look forward to significantly increase value to the Group from these activities, and providing job opportunities, as well as transferring skills and knowledge in the process. Rolls-Royce will continue to offer India a unique combination of experience and innovation that can help to improve the capability of our customers.